Bogen's Power Vector Series Mixer Amplifier modular amplifier offers a wide range of power choices, with five models ranging from 35W to 250W. Each model includes eight module bays for plug-in input modules and allows up to four levels of priority between modules. Two module bays are capable of accepting signal processing plug-in output modules. 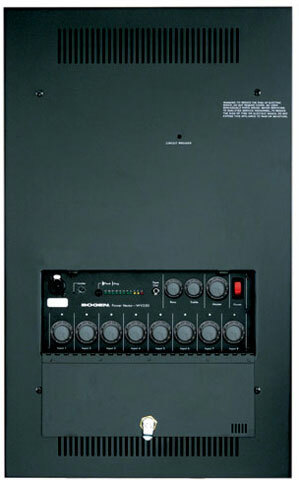 Each module is controlled by an independent volume control with an associated signal/clip LED for signal status.